COLLEGE PARK, Md. — For decades, the Maryland Terrapins have pursued gridiron glory in Byrd Stadium at the University of Maryland, College Park. But the school is thinking about dropping the stadium name because of the history of the man behind it: Harry Clifton “Curley” Byrd. On Monday, a working group appointed by University of Maryland President Wallace Loh started meetings to reconsider the Byrd name. 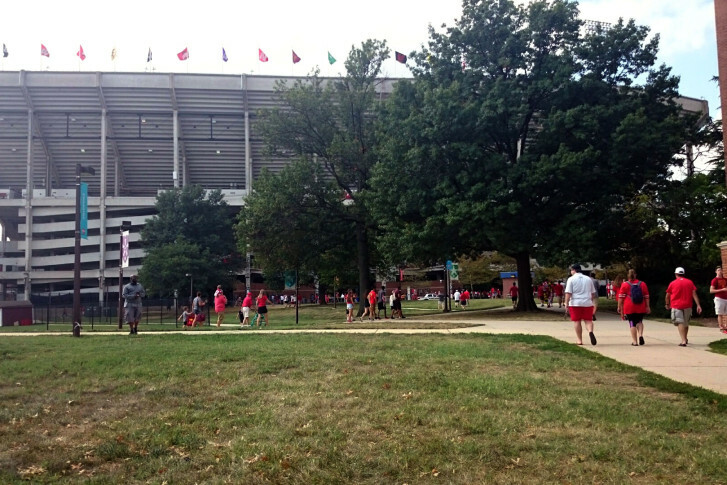 A student petition submitted last spring asked university officials to rename Byrd Stadium. Those behind the petition say that Byrd was a racist and a segregationist. “We have also heard from other people who equally as strongly voice support for Curley Byrd,” Ullmann said. Byrd was a teacher, football coach and athletic director before he served as university president from 1935 to 1954. Few students on campus seem familiar with the initiative. “Haven’t hear of it, sorry,” said one student. “What are they trying to change it to?” asked another. The Byrd Stadium Naming Work Group has been asked to develop options to present to University President Wallace Loh by Dec. 11. Ultimately, the decision on any name change rests with the University System of Maryland Board of Regents — the governing body of Maryland state universities. Loh could recommend dumping or keeping the name. Ullman says President Loh is seeking a good cross section of viewpoints and opinions on the matter. The 19-member task force includes faculty members, students, alumni and university staff members including the school’s chief diversity officer. Ullmann says no member of the Byrd family is a member of the working group.